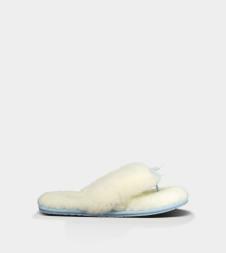 The ultra-indulgent shearling covered UGG Australia Fluff flip-flop Slipper– I do charms in white and baby blue. All over shearling luxury provides wedding style and comfort for the Bride on her special day. On a day that feels like no other, slip on a pair that feels like nothing else.